Each type of metal has very distinct properties, including how they respond to welding. It therefore makes sense that the base metal would be an essential variable within welding codes. The problem is however that the way in which materials are covered in material specifications and materials designation systems are not uniform. Some material designation systems are based purely on the chemical composition. Some are based on product type, such as pipe, casting or forging. Some are based on the end use of the material, such as pressure equipment, building structures or ships. It should therefore be clear that different welding codes that focus on different welding scopes will deal with the base metal essential variable in different ways. None-the-less, we will take a big picture view of how the base metal affects our welding procedure and base our discussion on how the welding codes typically address the base metal essential variable. Most welding codes will group base metals. The idea being that if you have demonstrated that you can successfully weld one of the base metals in the group, then that will be good enough to assume that you will get similar results when welding the other metals in that group. This saves us from having to qualify hundreds of different welding procedures on base metals that are essentially the same, or similar. Chemical composition: Metals with similar chemical composition should give similar results when welding. Strength: Even though the nominal chemical compositions are similar, if the strength requirements for the base metals are different, then it is reasonable to expect that we need to display that we can achieve the required strength in the completed weld. Often the codes will include lower strength materials in the qualified range, when you qualify higher strength materials. Thermo-Mechanical Treatments: Different thermal and mechanical treatments result in different responses when welding. The way in which this grouping is done, is different between different welding codes. As a general rule, the American codes, such as ASME IX, lists every material specification that is to be included in a group. In the case of ASME IX, these groups are termed "P" numbers. When impact properties are also specified, then an additional grouping is added. This is called the "group" number. The European codes tend to rather give the rules whereby different materials can be grouped. They also tend to give tables that show typical material groupings, but if you follow their rules, you can theoretically decide for yourself into which group the base metal falls. Many of the "EN" and "ISO" welding codes (such as ISO 15614) tend to reference ISO/TR 15608 for the "grouping rules". Interestingly, these material groupings are very much in line with the ASME P number grouping system, and is primarily based on chemical composition and strength factors. Typical Steel Microstructure: The dark phase is pearlite and the light phase is ferrite. The "layered" pearlite is called "banding". This is common in commercial wrought products such as pipes or plate. Hardenability: Which is mainly chemical composition based, and deals with issues surrounding hydrogen assisted cold cracking (HACC) and toughness. Strength: Which considers the final strength that the weld needs to meet, so it is also a way of making sure that the welding consumables used have the required strength. Thermo-mechanical treatment: This deals with the heat treatments and mechanical means used to achieve the particular properties of the base metal. There are obviously product specific welding codes dealing with widely differing materials such as aluminium, stainless steel and titanium, to name just a few. Each of these welding codes will have their own grouping system, so it is not possible to deal with them all here, but the principles are very much the same. They group materials together in a logical manner, to reduce the number of procedure qualifications that will be needed. Aluminium Alloys: P2X in ASME IX and Group 2X in ISO/TR 15608. Here the "2X" means 21; 22; 23 etc. Copper Alloys: P3X in ASME IX and Group 3X in ISO/TR 15608. Here the "3X" means 31; 32; 33 etc. Nickel Alloys: P4X in ASME IX and Group 4X in ISO/TR 15608. Here the "4X" means 41; 42; 43 etc. Titanium Alloys: P5X in ASME IX and Group 5X in ISO/TR 15608. Here the "5X" means 51; 52; 53 etc. Cast Irons: 7X in ISO/TR 15608. Here the "7X" means 71; 72; 73 etc. ASME IX does not classify the cast irons because ASME IX is a pressure equipment welding code, and it does not deal with welded cast iron pressure equipment. Given the ISO/TR 15608 is supposed to work across different product types, it includes the cast irons. While it looks like there is a 1:1 correlation between ASME IX and ISO/TR 15608, this is not necessarily the case. There are some notable differences, especially in the case of the high alloy Nickel Chrome alloys. The later editions of ASME IX do have a column in their P number listing tables (Table QW/QB-422) showing the correlation between the P number and the "ISO 15608 Group". The advantage of the ISO/TR 15608 document is however that it tells you how to categorise any material yourself, so it does not exclude materials just because they may be produced to a foreign specification not included in a listing, like is the case with ASME IX. If the weldability of the materials are the same, even if the alloy additions are different, then the welding codes may give you a wider qualified range that crosses over the different groups. For instance, if you qualified a welding procedure on a P4 to P4 material combination, ASME IX allows you to weld a P4 material to P4, P3 or P1 materials. 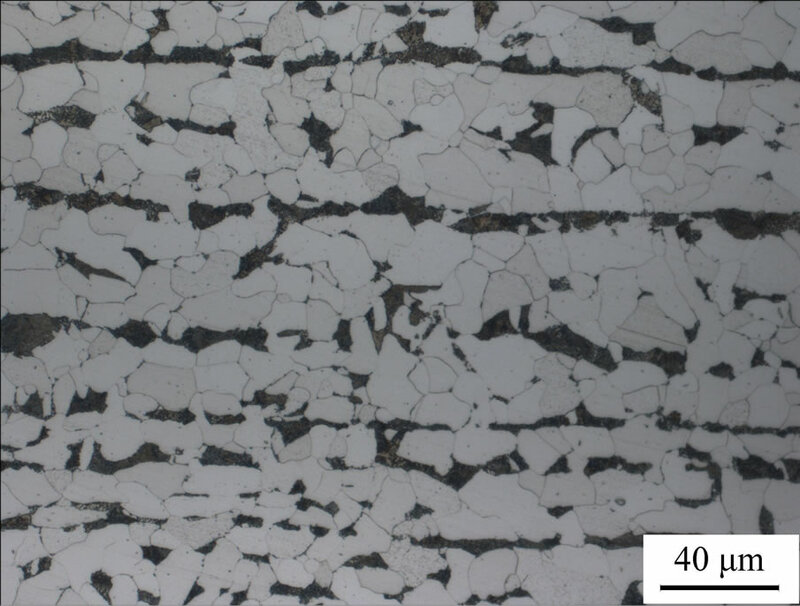 Nickel Based Superalloy Microstructure: Note the precipitates (square blocks) that strengthen the material. Annealing: Generally used for a process to get the material into its "softest" form. Quenching: A term used for rapidly cooling the material from a high temperature. For alloys that change phase when heating them up (e.g. carbon steels, ferritic or martensitic stainless steels, such as the 400 series) this often results in a meta-stable phase (e.g. martensite) being formed that can typically be hard and brittle. For materials that do not change phase when heated up (e.g. austenitic stainless steels like 304 or 316) this quenching tends to ensure that unfavourable inter-metallic or carbide phases do not form at intermediate temperatures. Tempering: Often quenched materials are tempered to remove the excessive brittleness. We then call them quenched and tempered. (Q&T) Quenched and tempered materials like low alloy steels can have a very good balance of strength and toughness properties. Normalizing: A normalising treatment is generally achieved by taking the temperature of the metal to a temperature range above which a phase change occurs, and then removing it from the heat treatment furnace to cool in still air. In the case of carbon steels, this typically results in a refining of the grain size of the steel, leading to a favourable balance of strength and toughness. Precipitation Hardening: This is also often called "ageing". This is a typical treatment for aluminium alloys and precipitation hardened stainless steels. This is achieved by heating a previously quenched alloy to a somewhat elevated temperature for a period of time. 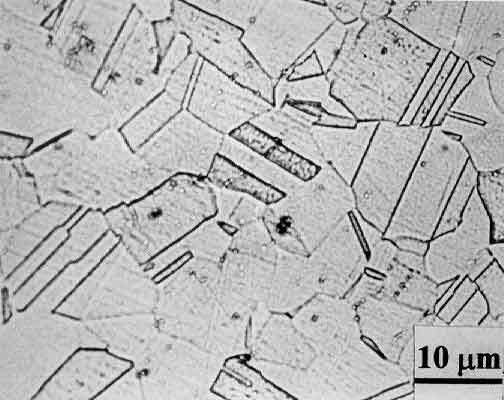 At the elevated temperature, small precipitates form in the crystal structure. The presence of these precipitates result in a strengthening of the metal. Heating the material too much will result in "over ageing" where the precipitates grow too big, and loose much of their strengthening effect. There are many more thermal treatments, but those mentioned above are sufficient for our present discussion. It should be clear that a material that has enhanced properties due to a quenched and tempered thermal treatment will respond differently to welding than a material that was subjected to a precipitation hardening thermal treatment. For this reason, materials that have different thermal treatments are typically placed in different groups, or sub-groups, within the welding codes. Hot working: Hot working is generally defined as mechanical deformation of a material at a temperature high enough that the material microstructure will immediately respond to the deformation due to the mechanical treatment. As an example, a steel can be deformed at around 950°C in a forging operation. At that temperature, the steel has an austenitic structure. 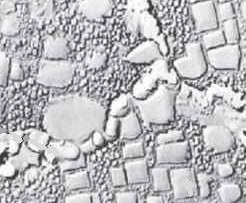 As the austenite grains are deformed by the mechanical treatment, the grains "recrystallise" to smaller grains. This treatment ultimately results in a steel with a finer grain structure, which has advantages in terms of increased strength and increased toughness. Cold working: Cold working is generally defined as a mechanical deformation of a metal at a temperature that is low enough that the microstructure cannot respond thermally to the deformation. As a general rule, cold working will result in a material that is stronger than one without the cold work. Excessive cold work can however result in a material that becomes very brittle. Welding will generally result in a recrystallization of a cold worked material in the heat affected zone (HAZ) of the weld. For this reason, materials with different mechanical treatments are placed in different material groupings or sub-groupings within the welding codes. Austenitic Stainless Steel Microstructure: The structure is principally austenite. The parallel lines is called twinning, and is typically caused by cold work. Some metals have their properties enhanced by a complicated combination of thermal and mechanical treatments. A typical example is of thermo mechanically controlled process (TMCP) steels. At the steel mill, the TMCP steel undergoes a combination of hot and cold rolling to its final thickness. This means that the steel can have a high strength, without the typical micro alloy additions of the normalized steels. This reduced alloying content results in a lower hardenability, so welding is easier, because it rarely results in a hard brittle martensitic structure. TMCP steels have their own issues, because they are more susceptible to weakening if the welding heat inputs are excessively high. In addition, elevated temperature treatments such as post weld stress relieving could result in excessive strength reduction. In some instances, these steels are either placed in their own sub-grouping, or are addressed by some clause in the welding or construction code placing additional restrictions on these types of materials. It is not the intention of this web page to give a definitive guide to all the different base metals possible. Rather, the intention is to describe why the base metal essential variable is included in the welding codes. In addition, I have attempted to introduce the fundamental reasons why the welding codes group the different materials into groups, and what factors are part of the grouping process. It is important to appreciate that due to the different scopes of different welding codes, the specific grouping requirements can vary between codes.